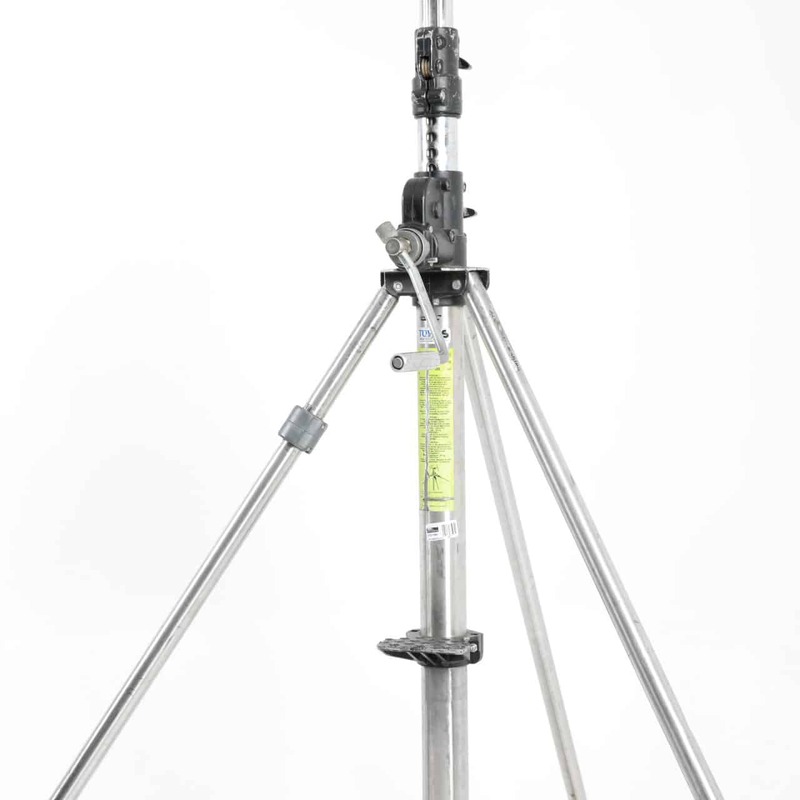 Heavy lifting stand with strengthened stainless steel column and legs, chrome steel risers and geared column. It features 3 sections, 2 risers which extend simultaneously at 4.4cm per handle turn. A safety cable ensures simultaneous retrieval of all sections. 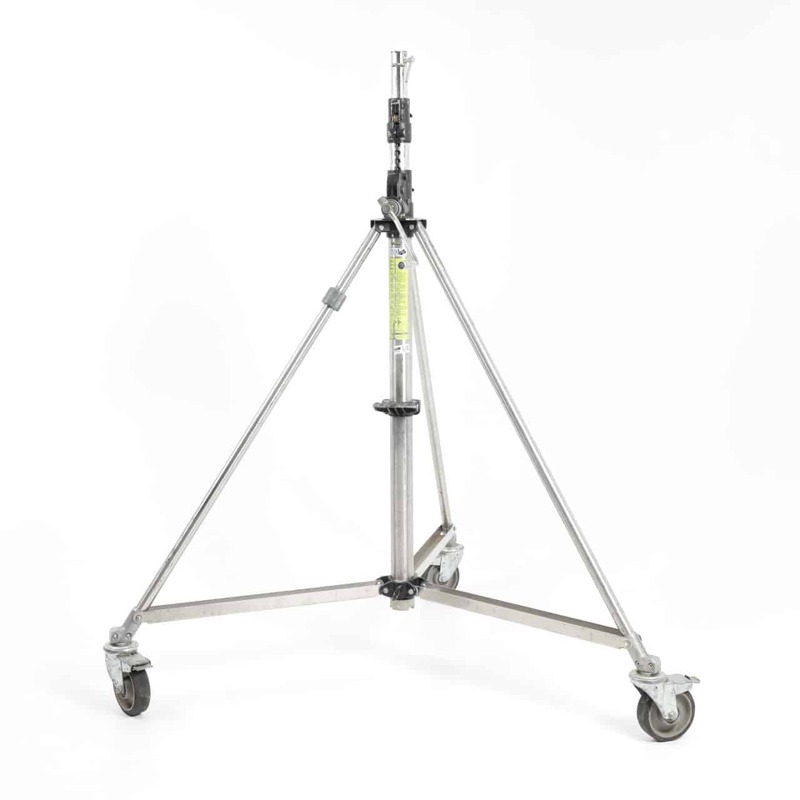 It is provided with rapid adjustment, has 1 levelling leg and braked foam fill wheels (code 474) for smooth movements even on the roughest ground conditions. It has a maximum payload of 80kg and can raise up to 3.86m. It also features 1 step on the column.